Thanksgiving is a national holiday celebrated on the fourth Thursday of November in the United States and on the second Monday of October in Canada. Similar celebrations are also observed in several other places around the world. It is a time to give thanks, of family gatherings and holiday meals. A time of turkeys, stuffing, and pumpkin pie. A time for Indian corn, holiday parades and giant balloons. It is a cool idea to create slideshows in celebration of a special Thanksgiving, expressing your great gratitude to your family and friends and showcasing the important and unforgettable moments of the whole year. 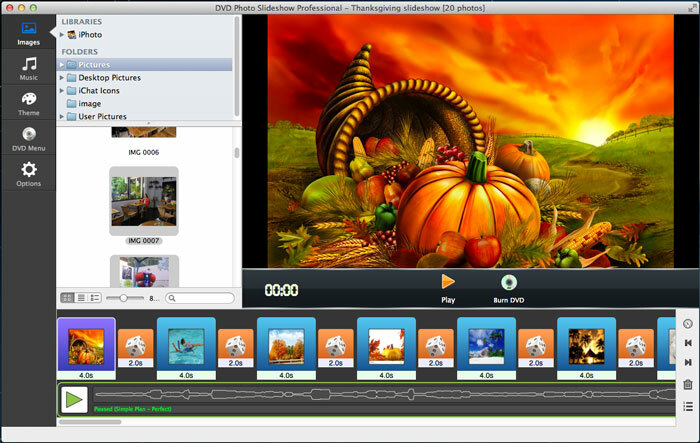 To create Thanksgiving slideshows, you just let DVD Photo Slideshow help you. It is an ideal slideshow maker which features dozens of transitions, themes and menu templates. You will also be able to add background music, add text, edit individual photos, add blank slides, set Pan & Zoom effects, and more. 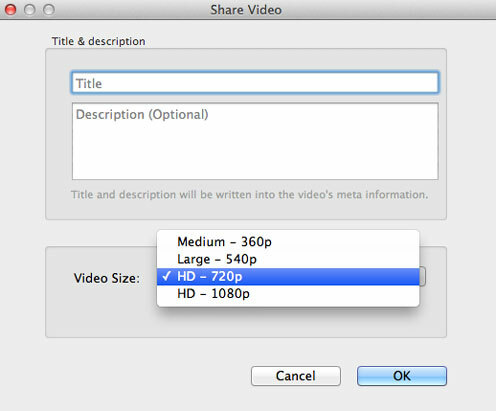 It allows you either to encode the slideshow into a video file or to burn the slideshow onto a DVD disc. Now let me walk you through the steps to create an HD Thanksgiving slideshow movie with DVD Photo Slideshow. In the Images tab, you will be able to browse all the pictures in your Mac. You can drag and drop your family photos from iPhoto library or other folders in your Mac to the timeline. Switch to the Music tab, and you will be able to add music from GarageBand or iTunes library to the timeline. You can load songs from other folders in your Mac as well. Check out this list of top 40 Thanksgiving songs. 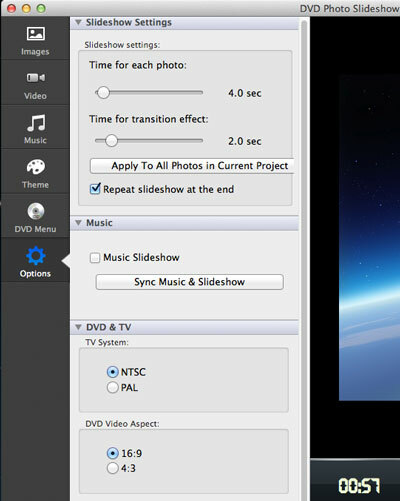 Click menu DVD Photo Slideshow Professional -> Preferences... to go to the Options window. There you can specify the path and format (MP4 or MOV) for the output video file. 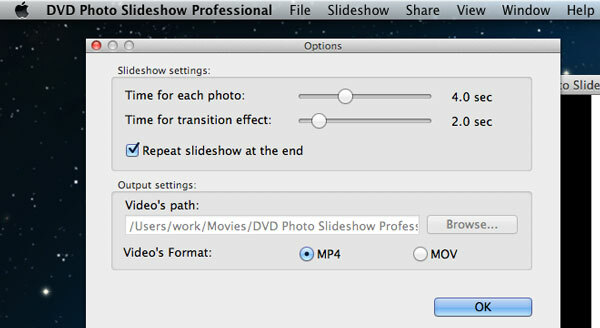 To learn more about how to apply transitions, customize menu, set theme, set Pan & Zoom, specify duration, edit photos, add text, and more, please refer to the user guide of DVD Photo Slideshow for Mac.